Hey there. 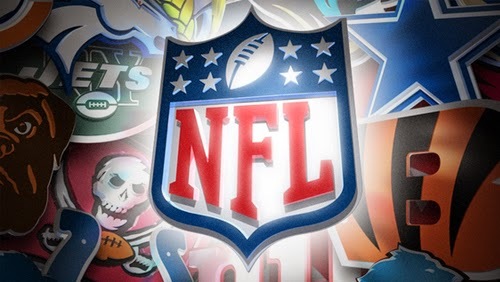 What an awesome start to the NFL season! Week 1 is in the books and we have already had some thrilling games and some unexpected outcomes! Who would have thought that the Dolphins would beat down the Patriots in a convincingly fashion? The Packers looked mediocre against that stout Seahawk defense. The Falconts take down the Saints in overtime! The Eagles down by 17 or so points to the Jaguars and STILL getting a victory by 17! Talk about high flying offense! Before we get to rankings, let's see how I did on my picks. I went 6-4 last week (6-4 overall). Not too bad... I'm over .500 so that's good. lol Now let's see if your team made it into my top 9. The reigning champs gave the Packers a beating that they will not soon forget. The defense was spot on, limiting Packers QB Rodgers to mediocre numbers. Look for the Seahawks to do the same this week against the San Diego Chargers. Seahawks for the win in sunny California. Manning and the Broncos look strong. Very strong. Clearly the top class of the AFC. They manhandled the Colts for 3 qtrs and decided to take the 4th qtr off and still won the game. With championship aspirations on Manning's mind and Brett Favre's all time passing TD mark in sight, I don't see the Broncos slowing down this season. Look for them to gallop right through the Chiefs this week at home for the win. The 49ers sleepwalked their way through the preseason and came out strutting against the Cowboys. 49ers QB Kaepernick, TE Davis, and WR Boldin are a dangerous combination. A combo that the Bears will have no answer to this week. 49ers win at home this week. Bengals QB Dalton and WR Green are building quite a duo in Cincy. WR Green tore up that Ravens' defense for 131 yards and a touchdown. I expected the defense to take charge of the game but the Cincy defense ranks in the bottom 10 in passing and rushing yards allowed. Will they get their act together to stop the Falcons this week? It'll be tough but I think the Bengals win at home in a close one. Eagles QB Foles starts the game with 3 turnovers before the end of the first half against the Jaguars and then turns it around to lead the Eagles to a 34-17 win! Talk about a tale of two halves! They will need to put on a solid 4 qts of football if they plan on beating the Colts in Indy. I just don't see that happening. The Eagles are shot down by the Colts and lose this one. The Saints vs the Falcons was definitely the game of the week. Both teams threw the ball exceptionally well and the Saints, winning the coin toss, were poised to win the game in overtime. If not for Saints WR Colston being stripped of the ball in overtime, Saints K Shayne Graham would have been the hero instead of Falcons K Matt Bryant. Look for the Saints to stroll into the Dawg Pound and get the win. Whoa... Packers QB Rodgers held to under 200 passing yards? That just doesn't happen. Credit that stout Seahawk defense. In a night where the passing lanes just weren't there for Rodgers, the Packers looked mediocre. And let's not forget the the 110 rush yards allowed. Unless the Packers get that lined patched up quickly, the Jets will have similar success with their RB duo of Johnson and Ivory. Good thing the Packers are at home. Home field advantage will help the Packers stop Gang Green at Lambeau. That was tough to watch. Heavily favored Patriots just didn't have an answer against the Dolphins. Patriots QB Brady looked ordinary, even with TE Gronkowski on the field. But QB Brady wasn't all that was wrong with the Patriots, that defensive front 7 allowed the Dolphins to rush for 191 yards. Vikings RB Peterson must be licking his chops for this week's match up. The Patriots will be questioned when the Vikings pull out the upset this week and the Patriots start the season 0-2. That offensive line of the Falcons is superb. Falcon QB Ryan had all day to throw. With that kind of time, you can expect the numbers for WR Julio Jones to skyrocket. But can that O line keep QB Ryan off his back this week? I think QB Matt Ryan makes a mistake or two and the Cincy defense will capitalize. The Falcons get clipped this week and lose a tight one to the Bengals. Off to one weird start, Raiders Nation. The Raiders finished the game against the Jets with only 133 passing yards (dead last in the league) and 25 rushing yards (dead last in the league)... yet... they were still in the game late in the 4th qtr. Raiders QB Derek Carr was super conservative, throwing short passes. When he did throw long, he threw a TD to WR James Jones. QB Carr has an arm and the Raiders need to allow him to throw the ball down field. Once the Jets figured out the game plan, they stuffed the box to eliminate those short passing lanes and essentially stop the running game. Though the Raiders defense is improved, they failed to stop Jets RB Ivory in a 70+ yard run which essentially won the game for the Jets. They stop Jets RB Ivory there and this could have been a victory for the Jets. The O line for the Raiders also needs some work. There were more than enough plays where QB Carr had to scramble. I hope that QB Carr doesn't forget his running shoes this week because the Black Hole welcomes DE J.J. Watt and the Houston Texans. Unless the late great Al Davis decides to interfere with some sort of divine intervention... the Raiders are not winning this game.